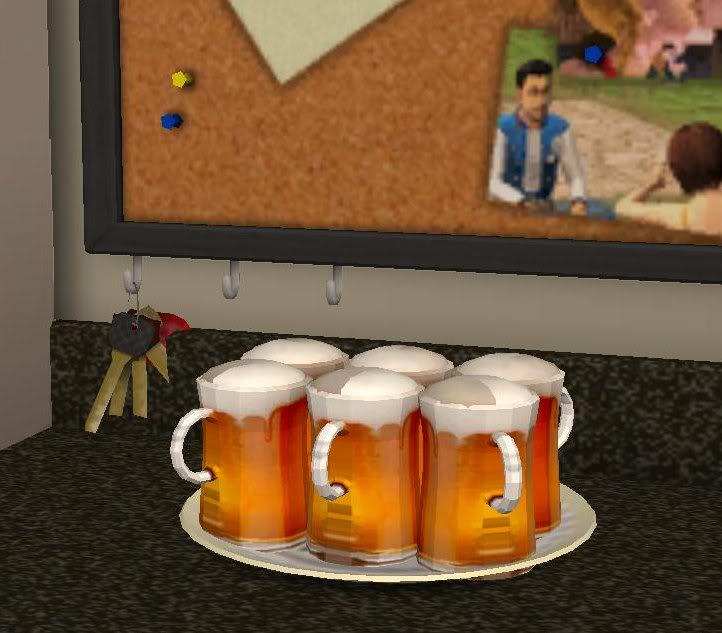 In this section you can find various edible food and drinks (buyable and cooking required) custom content downloads for The Sims 2. Description: Beer in a mug. 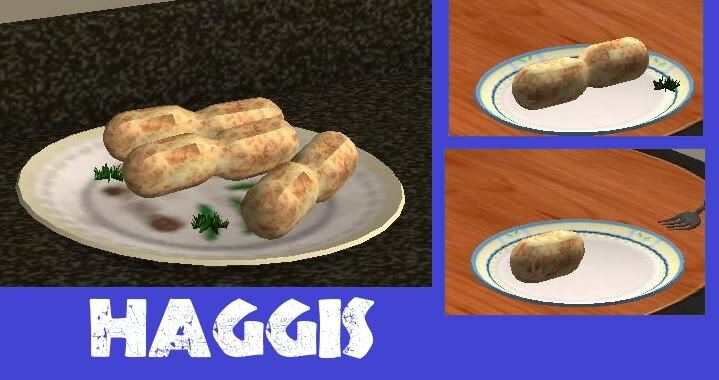 Description: The Scottish national dish - Haggis. Description: Buyable and edible fried chicken. 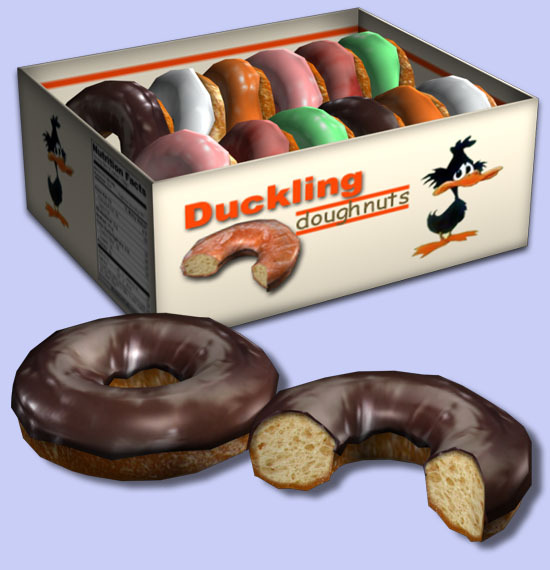 Description: A box of buyable and edible doughnuts. 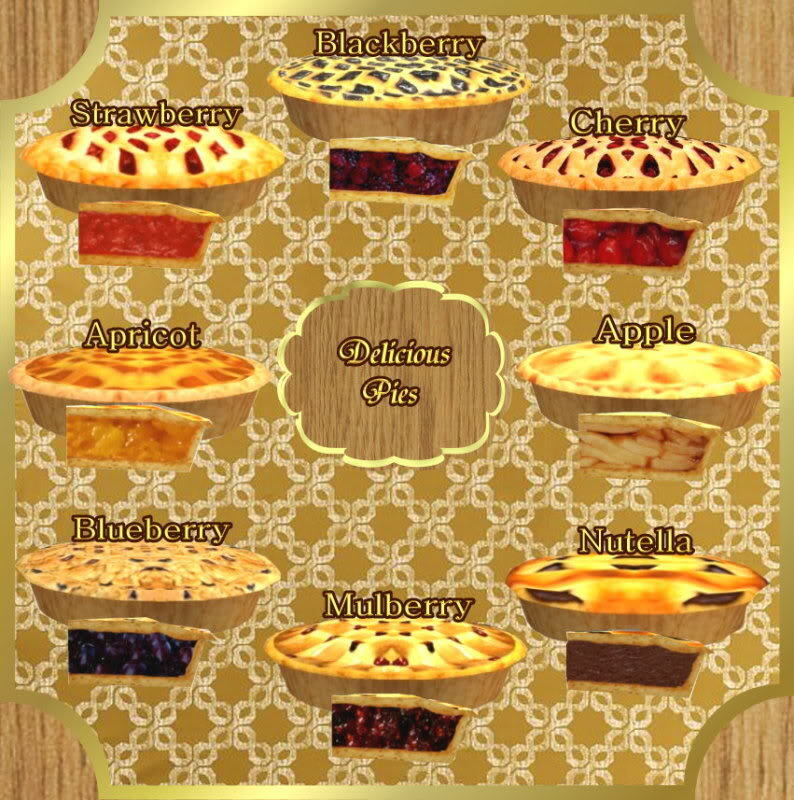 Description: Eight new pies - Strawberry, Blackberry, Cherry, Apricot, Nutella, Mulberry, Blueberry, Apple. 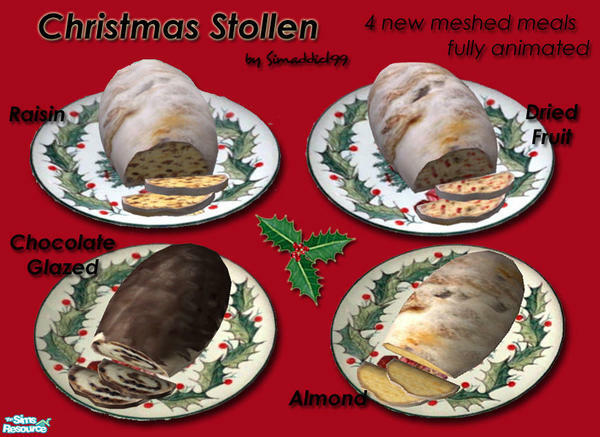 Description: Four Christmas Stollen cakes (Raisin, Dried Fruit, Chocolate Glazed, Almond) with custom plates and fully animated. 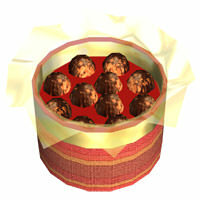 Description: Buyable and edible Valentine's chocolate box. Description: Coffee in a mug. Description: Non-alcoholic and alcoholic beer in six-packs. 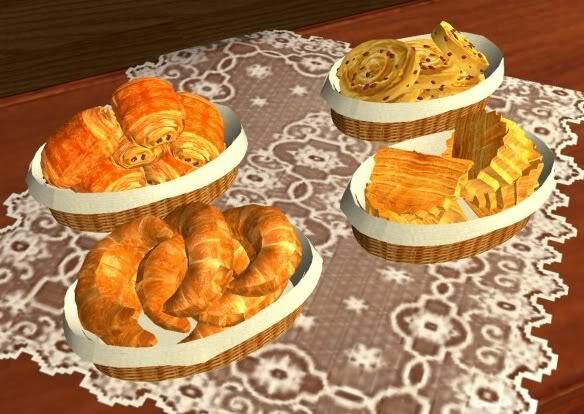 Description: Four new pastry foods. 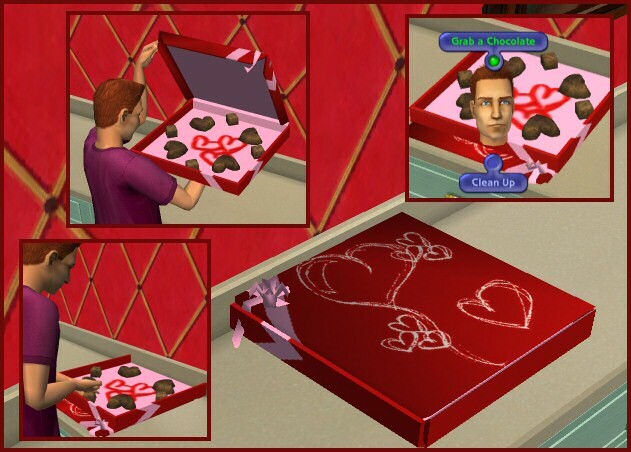 Description: Buyable and edible chocolate. 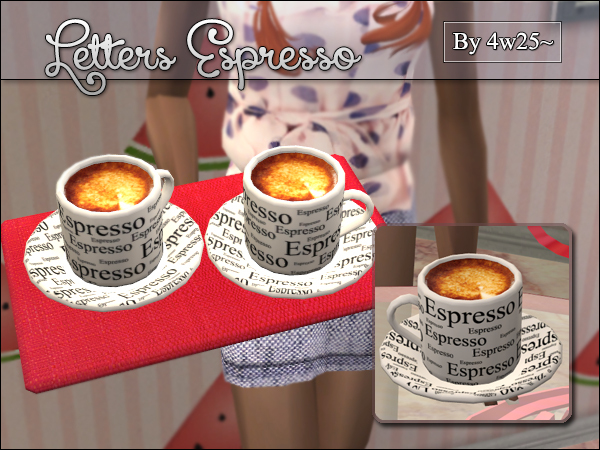 Description: Buyable and edible muffins. 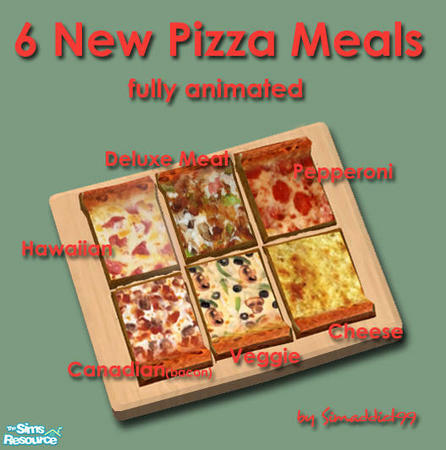 Description: Six new pizzas (Pepperoni, Cheese, Veggie, Canadian, Hawaiian, Deluxe Meat) with custom plates. 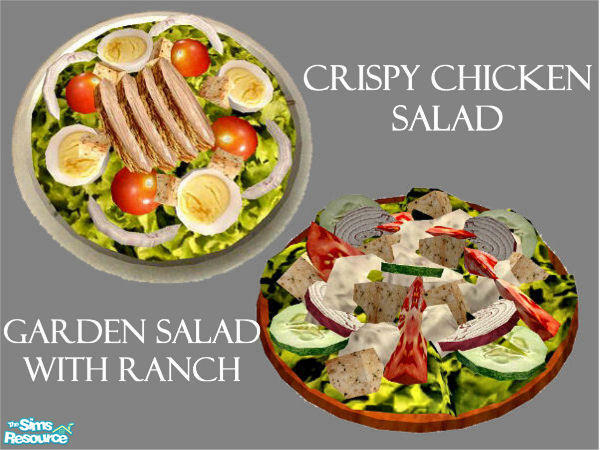 The plates are required for this creation to work. All pizzas may be downloaded separately. Description: Buyable and edible Halloween cookies. 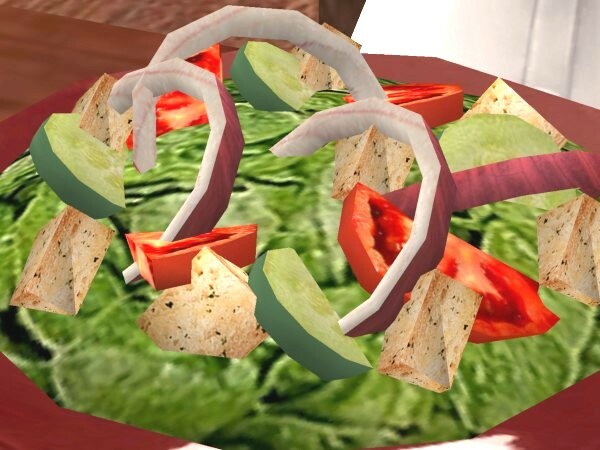 Description: Buyable and edible candy canes that increase your sim's hunger, comfort, fun and have additional effects. More information can be found on [You must be registered and logged in to see this link.]. 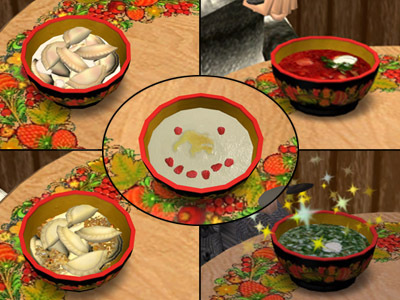 Description: A set of Russian food (Borsch, Okroshka, Dumplings (cherry and potato) and Semolina) with custom dinnerware. 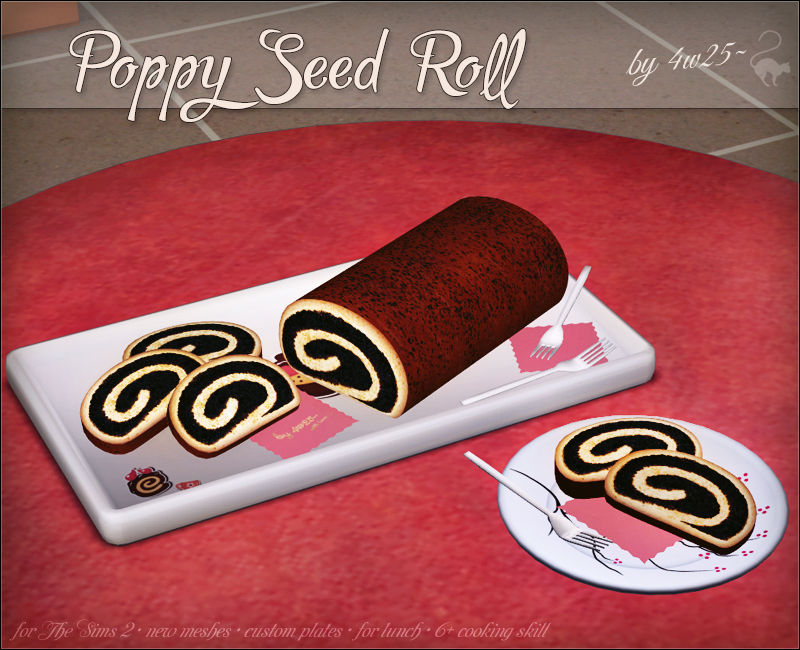 Description: Poppy seed roll with custom dinnerware. 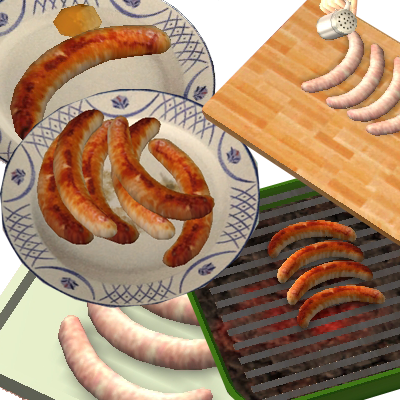 Description: Fried sausage with mustard meal. 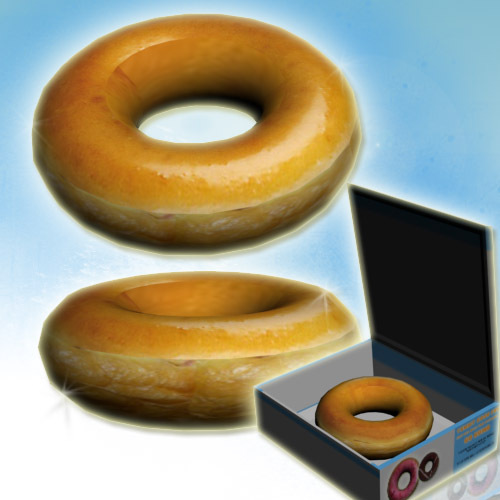 Description: Doughnuts in a box. Description: Buyable and edible Tartelettes. 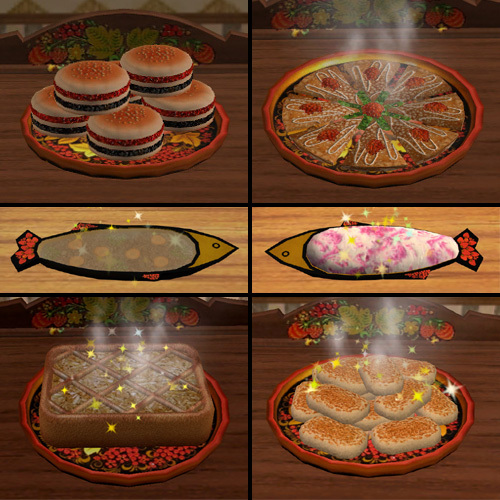 Description: A set of Russian food (Caviar Hamburger, Caviar Crepes, Meat Rissoles, Herring Salad, Aspic, Apple Pie) with custom dinnerware.